Welcome to the United Kingdom! 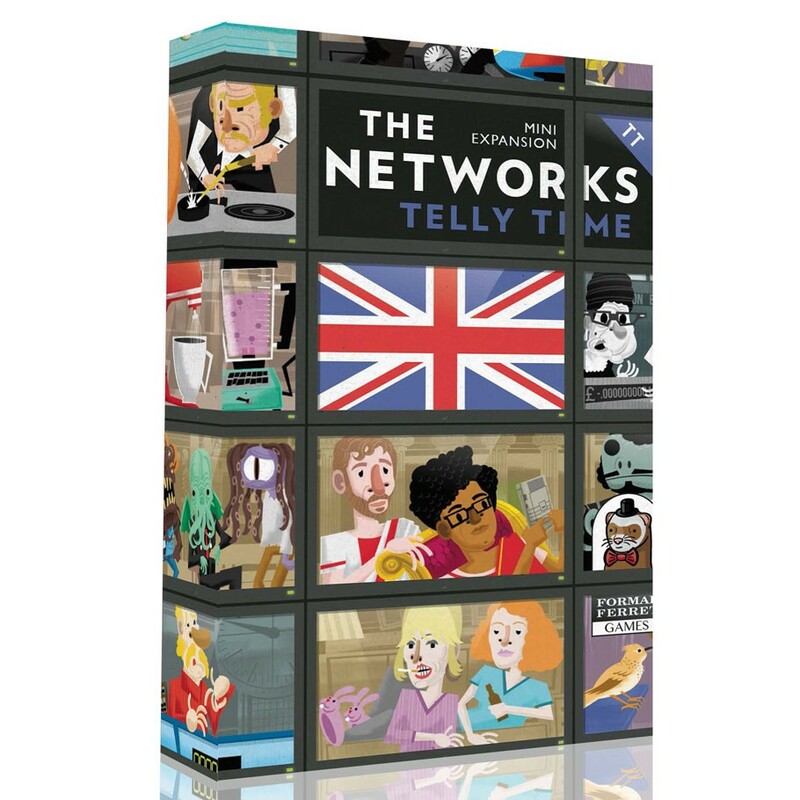 Telly Time is a UK focused mini-expansion for The Networks that adds 3 new Genres, plus a Genre Bingo card that gives players a new way to score Genre Bonuses. Itʼs a completely new way to play the game!